We are pleased to inform that 4th Colombo International Trauma Conference is scheduled to be held on 11th & 12th July 2019 at the National Hospital of Sri Lanka. It will bring together researchers, clinicians, medical administrators, and other healthcare professionals in an international forum, enabling an exchange of information on the latest advances in both science, practice and health management of Trauma, in this era of transformation of health care from local to global. The conference is unique in the sense that it will have a wide range of participants from medical administrators, consultants, doctors, nurses and paramedical and cover wide range of areas from emergency care to electronic health. An international panel of experts from developed and emerging economies has already confirmed their participation at the conference. The conference is organized with the objective of providing a common platform to share knowledge in all aspects of trauma care and sharing Sri Lanka experience and expertise in this field with international community. This event will reach to all the leading health institutes, hospitals, regulating bodies, decision makers and professionals in Sri Lanka. 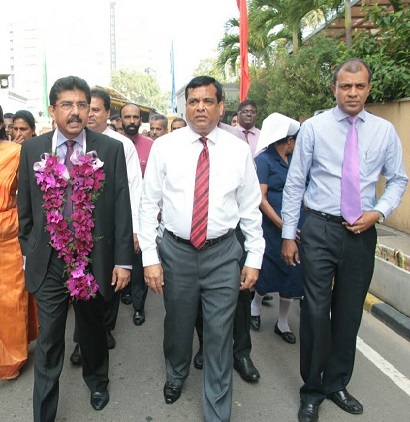 Dr. WK Wickremasinghe assumed duty as the Deputy Director General of Health Services of National Hospital of Sri Lanka on 09th of January 2019. The newly apponited Director General of Health Dr.Anil Jasinghe was feclicitated by the NHSL staff on 09th December. The event was held under the guidance of Deputy Director General (NHSL) Dr.Kumara Wickramasinghe with the participation of NHSL staff and well wishers. 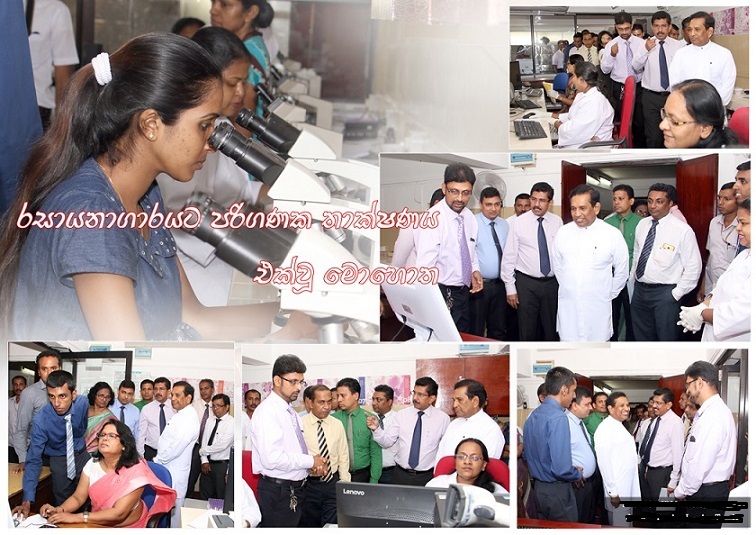 NHSL Laboratory Management Information System was inspected by the Hon. Health Minister Dr.Rajitha Senarathna on 15-08-2017. NHSL Laboratory Department is at the verge of launching the LabMIS .... At its first phase all the Medical wards will be connected to the Heamatology and Biochemistry sections and the patients will be benified by the online availablity of Laboratory reports which is vital for quick decission making.